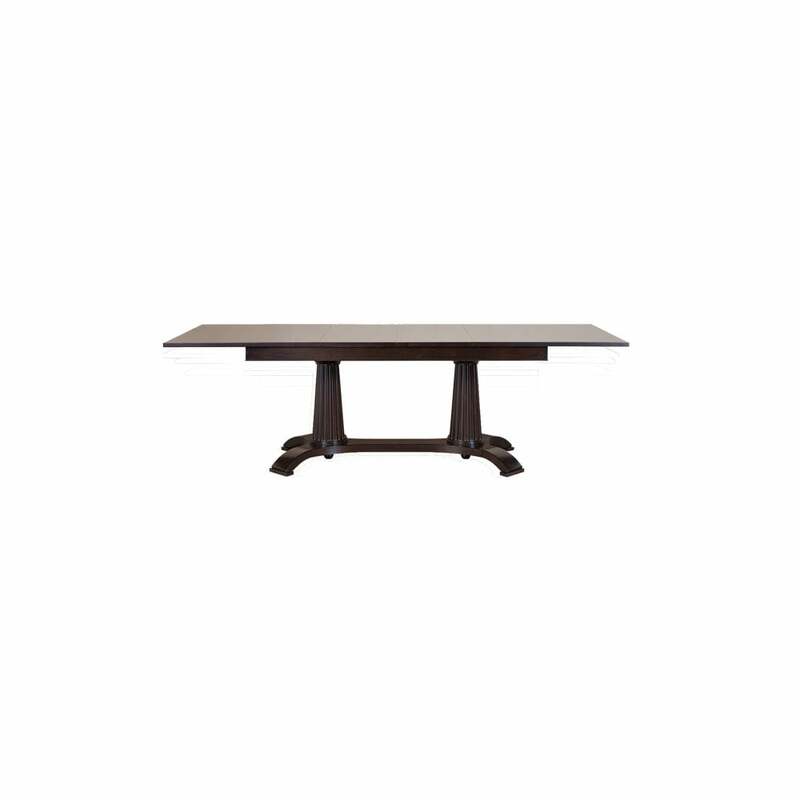 A striking dining table with a strong identity, the Heritage Table demands to be centre stage. The Solid beech base frame, consisting of 2 pillars on a curved platform, is a display of the strong design and craftsmanship of this piece and ultimately creates a firmly planted, very solid dining table. These rather regal pillared legs support a rich, smooth cherry veneered table top with 2 internal leaves, giving you the option to extend the top for those extra guests. To create a unique, bespoke look, you also have the option of a two-tone finish, the main finish being on the table top and legs with contrasting finish on the columns and base. Create the perfect look by coordinating with the elegant Heritage chair, a stunning dining set with absolute wow factor.